The good news: Race 1/7 is in the bag and I’m not dead (yet)! The bad news: Well, you’ll have to read the whole thing to find out! If you’re not familiar with the 777 Project, here are the aims of the project. 777 is an endurance, adventure, and philanthropic initiative by Joel Runyon and Impossible Ventures to run 7 ultra marathons on 7 continents in order to raise money and awareness to build 7 schools with Pencils of Promise and to provide opportunities to those for whom a basic education can be impossible. You can read more about the 777 Project here. IMPOSSIBLE is all about challenge. Most people think of impossible as a sign post. They see it as a warning to turn back before they reach certain failure. At IMPOSSIBLE, the goal is to flip that word on its head and to see it as a challenge. It’s easy to look at everyday things in your life and say “that’s impossible.” I did that for most of my life. It was the reason that, up until a few years ago, I was living in my parents’ basement, hoping to get a job at Starbucks! I said “that’s impossible,” because other people told me it was. I took the easy route and listened to what other “experienced” people told me. Everything in my life changed when I asked myself “is that really impossible?” and decided to find out for myself. So why 777? Why pick out something that’s seemingly impossible and that only a few people have ever done? Well, there are a few reasons. The lure of the impossible – When someone tells you that you can’t do something, most people stop. The mission of IMPOSSIBLE is to show that the impossible is just an amazing challenge waiting to happen. If Joel – a former UPS driver with no experience, no special running background, and no special skills – can do this, you can too. The mental challenge – Some people get all upset when they see me talking about a lot of physical challenges, but ultras are really a mental challenge to keep pushing even when you want to quit. I firmly believe that pushing yourself physically is the key to realizing how to push yourself mentally. The generosity challenge – There’s no better way to gain perspective on how small your problems than stepping back and looking at what types of problems other people less fortunate than you are facing. Sure, running an ultra marathon on every continent might seem impossible, but when you compare it to a kid in Guatemala, Laos, or Ghana, wanting a chance at a decent education, a fighting chance, a possibility that’s literally impossible to them, running a marathon on every continent can actually seem like a jog in the park. We’ve raised $10,275 to date – that’s about 6% of our goal! if you haven’t joined the campaign, you can do that here. A lot of people want to know the best way to get involved with 777. Well, it’s to join The $25 Challenge. You can do that right here. So, how did the race go? Great question. Here we go. It’s not easy to get to Patagonia. Just SHOWING UP on race day took one train, one shuttle, three flights, one taxi, three buses, one van, and one taxi. Forty-four hours after setting off, we finally arrived in Torres del Paine – one of the most remote places in the world. Despite the journey, let’s just say that the view was worth it. The race is part of a running series put on in Torres del Paine. While the marathon was the large draw, about thirty people lined up for the ultra, and it was absolutely beautiful. I talk a lot more about it in my race review of Patagonia here. I’m not going to lie. It was easily the most beautiful starting line I’ve ever been at. I mean, we lined up next to a freaking glacier! We actually had to jog a mile from the meeting point to the starting line to get there, but it was worth it. As the sun came up over the mountains, they counted us down and we were off! 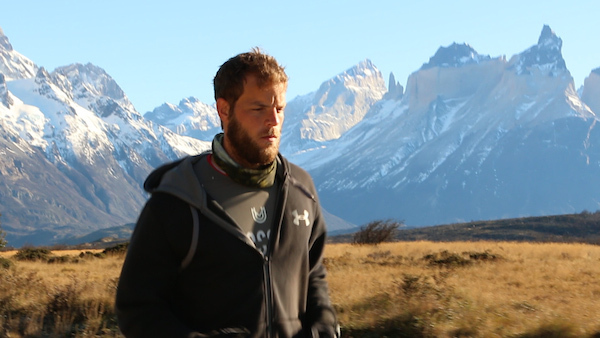 After running the mile along the sandbar and back up to the main road, we ran along a relatively flat course for the next twelve or thirteen miles, with a view of the massive Torres del Paine in front of us. Woah. Once we hit mile thirteen, where the Patagonia Marathon started, the scenery changed. We hit the Lago Pehoe and, woah. Seriously. This was it. So yeah. It was pretty. This was the scenic part of the race with a bunch of rolling hills. Nothing crazy difficult, but definitely not flat. The scenery made it all worth it though. The race was going well through the first marathon. The scenery was gorgeous and, for most of the race, the strong Patagonian winds were at our back. That changed at mile twenty-four. At mile twenty-four, we came up and around a hill and did a slight U-turn as it turned back downhill. As we came around the corner, instead of having the wind at our backs, it came at my side with a vengeance and actually blew me off balance! Believe it or not, it pushed me halfway across the road and, when I came down to find my footing, the new placement of the road was farther down than I expected. The road wasn’t where I thought it was going to be, so my foot slipped inside and my ankle started to roll. But, instead of stopping when it hit the ground (like it normally would on flat land), since we were on a hill, it kept going with the decline. I ended up rolling my ankle past the base of my foot. I haven’t had many injuries (thankfully) during the course of my running career. I’ve had my IT band act up on occasion and I’ve had a few things hurt here and there, but I haven’t had ankle issues, and this one was a doozy. I wasn’t quite sure if I was going to end up mad, hurt, or a mixture of all the emotions. I knew injury was a possibility, but I decided I’d rather get hurt by overusing a tendon or stepping in the wrong place than by getting blown over by the wind! It’s going to be interesting, seeing how this plays out. A few weeks later, my ankle is still tender. I’m working on my therapy to fix it and rehab it. I knew injury would be the number one issue in this race, but I didn’t expect it to be caused by the wind! I’m going to be doing some rehab on this, but I hope it’ll be fixed by Antarctica. For the last six miles or so, you weave back around the lake and head back into the wind, which, while at your back, is wonderful. It’s not so wonderful when it’s blowing against you. It was a little tough, especially with my ankle. I used the Hit List Strategy and counted off eighteen people over the last 5k. It made me feel better that I was at least finishing strong, even if I did have an ankle issue. As you can probably imagine – I was pretty amped. As with all the races I’m doing for 777, we’ll be posting a video to keep you guys posted with the progress and the updates. To get an in-depth look at the race and the updates, check this out. If you’re reading this in email form, click here. Find out more about the 777 Project here. I agree with Alan. After coming across your blog I started taking cold showers and running also. What are the challenges you will have to face in Antarctica and how are you planning to train for that race? The video is epic, and beautifully shot and edited! 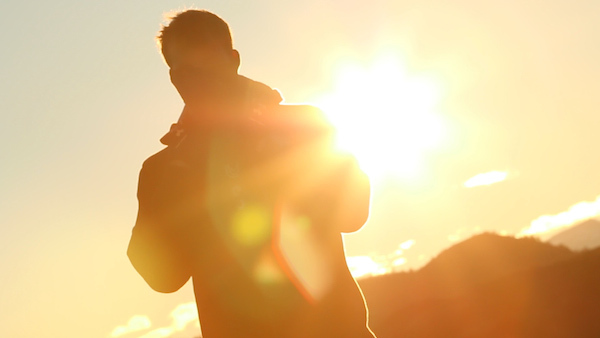 Did you take a video team, or at least a videographer/photographer, with you?